As most of the country eagerly awaits warm weather, dreams of playing in the sun percolate. Golfing, volleyball, swimming in lakes and oceans, and yes badminton are just some of the activities in store for Americans. For those looking to take part in the latter, please be advised that the birdie or shuttlecock is not harmless. 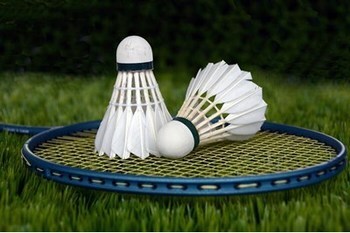 Researchers at Capital Medical University, Beijing, caution badminton enthusiasts that shuttlecocks and the racquets of other players can lead to eye injuries. Even blindness! “Use of protective eyewear is highly recommended, based on expert professional guidance, safety education and awareness of the ocular injuries that can occur,” says Dr. Yi Liu, the study co-author. SDCB can provide vision rehabilitation services throughout San Diego County. Please contact us to learn more. “In the Dark,” a series meant to highlight what it is like to live in blindness debuted Thursday, April 4 on The CW. The show stars Perry Mattfeld as confident and rebellious Murphy Mason, a young lady living in blindness. You may find it interesting to learn that many cast members and most of the sitcom’s extras are blind in real life. Mattfeld hopes the show will raise awareness about the millions of people living with blinding eye conditions. Preparing meals, paying bills, shopping, studying or working are obstacles that individuals who experience vision loss deal with each day. At SDCB we help men and women lead the most independent lives possible. Please contact us to learn more. There is a lot of commotion in the news regarding the impact that blue light has on the eye. Many people contend that exposure, over time, can damage the eyes and potentially result in blindness. 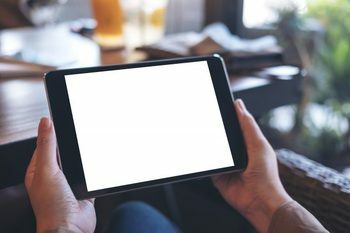 The accuracy of such claims is essential to millions of people who use devices that emit blue light, such as smartphones and smart TVs. So, are the allegations true? At SDCB, we help people living with vision loss meet everyday challenges. Please contact us to learn more about the services we provide. Researchers from the University of Surrey and the Eugene and Marilyn Glick Eye Institute at Indiana University School of Medicine have discovered compounds from a group of plants that could be used to treat the causes of degenerative eye diseases. The findings of the research could help treat proliferative diabetic retinopathy, and more blinding eye conditions. Diabetic retinopathy happens when high blood sugar levels harm the back of the eye, resulting in blindness. "It goes without saying that losing your eyesight is a devastating experience,” said Professor Dulcie Mulholland, Head of Department of Chemistry at the University of Surrey. “We believe that our results hint at possible future treatments for many degenerative eye conditions and it appears that nature still has many secrets to reveal." Each day, students at SDCB reach their highest potential for confident, independent living. We can help you achieve your goals too. Please reach out to learn more. 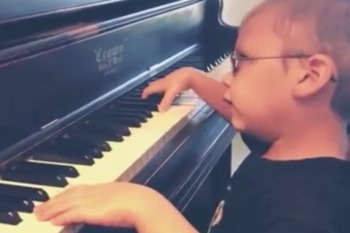 A 6-year-old piano prodigy is capturing hearts and minds thanks to viral videos of his performances online. Avett Ray Maness used his ears to teach himself how to master the ivory and ebony keys. Avett was born with optic nerve fibroplasia; he has never had the experience of vision. He does not let blindness hold him back! SDCB provides services to legally blind adults who are age 18 or older. Please contact us to learn more about our programs. 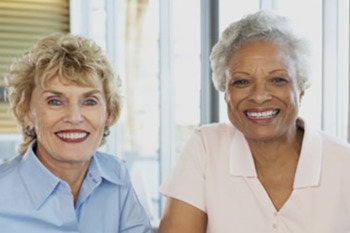 Did you know that women are affected by eye diseases such as cataract, glaucoma and age-related macular degeneration at higher rates than men? Prevent Blindness wants to raise awareness about the importance of taking care of your vision. The nation’s oldest eye health and safety non-profit organization declares April Women’s Eye Health and Safety Month. Prevent Blindness recommends that women get regular eye exams, quit smoking, and use cosmetics safely. All of SDCB’s services utilize a specialized field of service, called Vision Rehabilitation, which plays a central role in addressing age-related vision loss. Please contact us to learn more. The visually impaired are a market that has been mostly ignored by the cosmetic industry even though 36 million people worldwide are entirely blind, and 217 million have a visual impairment. Cosmetic packaging isn’t designed to cater to people with vision loss; however, changes are afoot. Sam Latif is Procter & Gamble’s special consultant on inclusive design, a new role at the company. 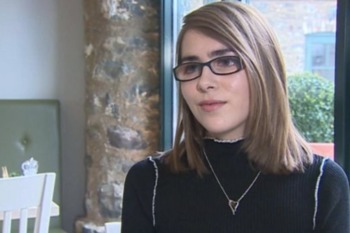 She has a condition called retinitis pigmentosa, which stole her sight. Her job is to make sure the 1.3 billion people worldwide who have a disability can easily use cosmetic products. SDCB’s services help the visually impaired live a life doing many of the things they did while sighted. Please reach out to learn more. 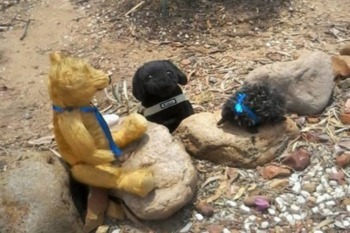 Last month, three running guide dogs named Westley, Waffle and Gus ran with a blind runner in the 2019 New York City Half Marathon. It was the first time that a blind runner completed the half marathon with guide dogs. 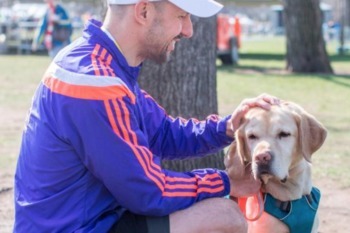 The runner, Thomas Panek, is also the president and CEO of Guiding Eyes for the Blind, an organization that has trained guide dogs for the visually impaired for decades. He started the “Running Guides" program in 2015. "It never made sense to me to walk out the door and leave my guide dog behind when I love to run and they love to run," he said. "It was just a matter of bucking conventional wisdom and saying why not." SDCB’s vision rehabilitation program is recognized for its effectiveness in helping people with no vision to those with changing vision return to an independent lifestyle. Please contact us to learn more. 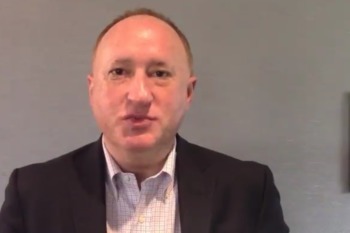 At the Retina World Congress in Fort Lauderdale, Florida, Andrew A. Moshfeghi, MD, MBA said that neovascular age-related macular degeneration, diabetic macular edema, and proliferative diabetic retinopathy is estimated to cost the U.S. approximately $21 billion by 2020. Moreover, he said that if management of these conditions does not improve then the direct, indirect, and intangible costs will triple by 2050. “Age-related macular degeneration will constitute the lion’s share of this amount with a little over $16 billion. 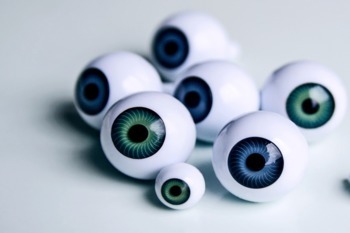 Diabetic retinopathy will be about $4.5 billion,” said Moshfeghi. If you or someone you care about is experiencing vision loss, please contact the San Diego Center for the Blind. We offer many programs and services that can help. "But it's all about telling people that although there are challenges, it's possible to live a positive life despite having sight loss." At SDCB, we help adults with blindness and vision impairment to be independent. Please contact us to learn more. 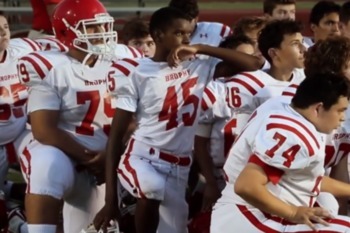 A blind athlete has dreams of one day being an NFL running back. The first-ever! Adonis Watt lost his eyesight at the age of 5 due to congenital glaucoma, a rare form of the condition. Adonis, like so many people living with blindness, does not let his lack of sight prevent him from chasing his dreams. The young, blind athlete is a Vision Hero for The Vision of Children Foundation. As an ambassador, Watt uses his experience to inspire other young people living with vision loss to pursue their goals. Please visit the SDCB store for a complete line of aids and appliances to increase independence for blind and vision impaired individuals. Sighted people don’t spend much time looking down when they walk city sidewalks. Many individuals have never stopped to wonder why some sidewalks are bumpy or grooved. 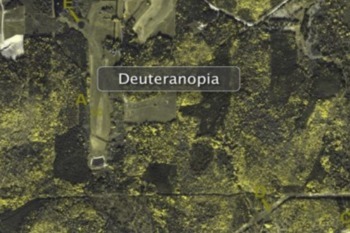 Blind people and the visually impaired can tell you that there is a lot to glean from what’s under your feet. Paying attention to tactile signatures beneath one’s feet is a real lifesaver for countless people around the world. The late inventor Seiichi Miyake made an enormous contribution to the vision loss community when he imagined sidewalks infused with Braille. 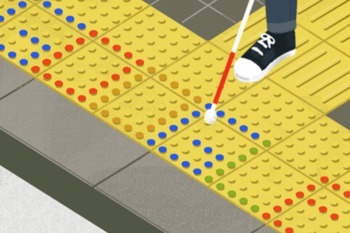 Tenji blocks, or “braille blocks,” guide people living with blindness safely. Straight imply one is heading toward safe zones; elevated domes indicate treacherous traffic ahead. SDCB helps people without vision to those with changing vision return to an independent lifestyle. Please contact our team to learn more. Most museums severely frown upon people touching the exhibits on display. Such institutions have good reasons for their policies; however, it means that people living with blindness or low vision will never have a chance to admire works of art. Tactile art, on the other hand, allows people living with vision loss a chance to experience what everyone else is seeing. 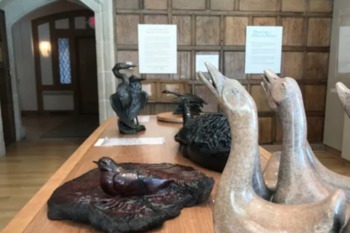 At the Leigh Yawkey Woodson Art Museum, there is a new permanent tactile art exhibit. "In Touch with Art: Tactile Sculpture" debuted March 2; it is a fixed exhibit, but art pieces will rotate periodically. "I feel like tactile art can be every bit as dynamic and wonderful and creative as any visual art," said resident artist Ann Cunningham. Preparing meals, paying bills, shopping, studying or working are challenges that must be faced and overcome by those who experience vision loss. SDCB helps people meet those challenges; please contact us to learn more. 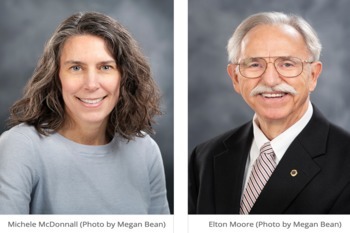 The American Foundation for the Blind, a leader in opening doors for the nearly 25 million Americans living with vision loss, recognizes two Mississippi State University leaders for their contributions in the field of vision loss. The Migel Medal – the highest honor in the blindness field – was given to Elton Moore, retired MSU professor, College of Education associate dean, and the former director of the National Research and Training Center (NRTC) on Blindness and Low Vision and Michele McDonnall, MSU research professor and current NRTC director. “To receive the Migel Medal is the quintessential lifetime achievement award in the blindness field, and to be a part of a nationally renowned group that includes Helen Keller is truly humbling,” Moore said. SDCB vision rehabilitation programs are available to all—regardless of their disability or socioeconomic status. Please reach out to learn how we can help you regain your independence. Gabrielle Masone’s dream, hard work, and innovation could help people living with color blindness. While studying at Dalhousie University, Masone decided to set herself to task in finding a solution to color deficiency. 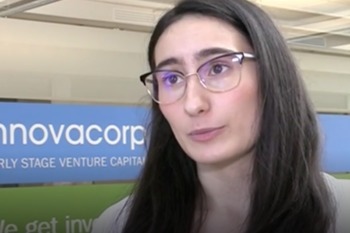 At her company, Colorsmith Labs, Inc. in Halifax, Nova Scotia, she is using nanoparticle technology to create contact lenses which allow wearers to see every color. Scientists at Saint Mary’s University assist Gabrielle's research. "So, we've made the functional nanoparticles, which is super exciting, and we're just optimizing them, but we are in the testing phase of actually starting to put them in contact lenses," said Danielle Tokarz of the Saint Mary's University Chemistry Department. Masone says her company requires a $1.5 million investment to finish the project. The San Diego Center for the Blind (SDCB) provides vision rehabilitation services to legally blind adults who are age 18 or older. Please contact us to learn more about our programs. Depression, trouble walking, vertigo, exhaustion, body pain, numbness, weakness, and vision loss are some of the symptoms that people living with Multiple Sclerosis or MS can experience. Many people who are subject to the above troubles chalk them up as not worth paying any mind to; MS often goes undiagnosed for years. Actor Clementine Ford (“The L Word,” “The Young and the Restless”) shares that she dealt with MS symptoms for a decade, including sporadic vision loss, before she finally received a diagnosis from her doctor. "It started when I was 19 or 20. I would lose sight in one of my eyes when I was jogging outside when it was hot," said Ford. People with MS can have adverse reactions to heat. SDCB’s Assistive Technology Center and Store offer tools that can help you or a loved one become more independent. Please reach out to us to learn how we can help. Usher syndrome is a rare recessive genetic condition and is the most common cause of deaf-blindness. There is no cure or treatment, unfortunately. Those born with the disease have hearing loss; however, vision loss usually starts in one’s adolescence in the form of retinitis pigmentosa. Shannon Reyenga has always been deaf, but she didn’t know that her hearing loss was the result of Usher syndrome. She has experienced poor night vision loss, a precursor to blindness in such cases, but was unprepared to learn she had the condition at a routine vision check-up at LensCrafters. Even though Reyenga’s boyfriend knew she was deaf from their first date, she struggled to share with him that she would eventually be unable to see. “After I learned I had Usher syndrome, I thought I lost any chance of finding love. I struggled with the idea of finding someone willing to face this challenging diagnosis with me. I could hardly face it myself. Is your vision changing? SDCB can help! Please contact us to learn more about our programs. Larry Misrok, 81, has a rare autoimmune disease (birdshot chorioretinopathy) that caused inflammation in his eyes, destroying a layer of his retina that left him living with blindness. He has lived with visual impairment since the 1970s, which is no easy feat. In recent years and thanks to technological advancements, Larry has regained some independence. Today, Misrok is aided by high-tech glasses made by Aira. 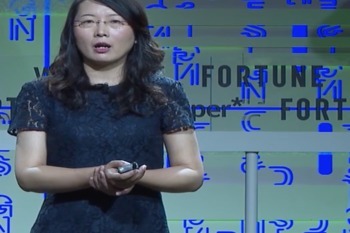 The spectacles do not restore a person’s vision; they allow Aira employees to see what the user should be seeing; operators guide people with vision loss through the use of a smartphone app. Several other assistive technologies exist that are making the lives of people living with blindness a little or a lot easier. Do you want to live as independently as possible? Please contact SDCB to learn how we can help you achieve that goal. The Braille Institute in California hosts the National Braille Challenge each year. The competition is meant to inspire young, visually impaired individuals to hone their reading and writing skills. 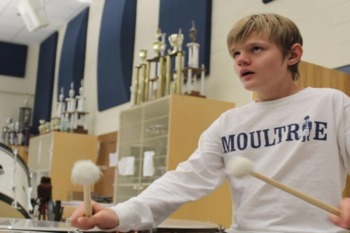 A seventh-grader placed first in the 2019 S.C. Regional Braille Challenge on February 7, 2019. 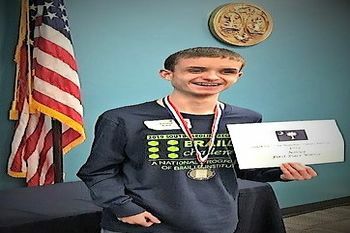 Competing against 11 other students from across South Carolina, Brenson Baker won the Apprentice/Novice Level which included spelling, reading comprehension, and proofreading. The top-scoring 60 contestants in the United States are invited to compete in the final round in Los Angeles, CA, this June. Do you know someone that requires our vision rehabilitation services and would like help? Please contact us to learn more about our programs. While February was Black History Month, today we would like to introduce you to Dr. Patricia Bath. 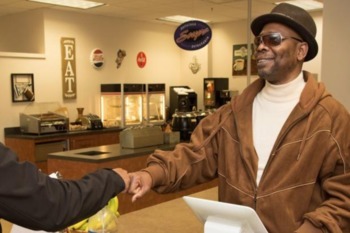 Dr. Bath is a leader in the fight against blindness in the black community. At Columbia University she learned that African Americans were twice as likely to develop blindness, compared to other patients. Moreover, the demographic is eight times more likely to develop glaucoma. 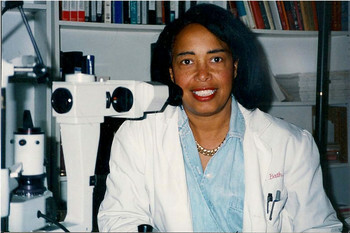 Aside from being the first African American to finish a residency in ophthalmology, Dr. Bath was the first female faculty member in the Department of Ophthalmology at UCLA. She is the co-founder of the American Institute for the Prevention of Blindness and invented the Laserphaco Probe in 1981. The device made cataracts treatments less painful and more precise. SDCB helps people living with vision loss reach their highest level of independence. Please contact us to learn more. Doctors determined Levi Gobin was blind in the first year of his life. Now a seventh grader, Gobin does not let his blindness hold him back. Where the teenager's vision lacks, his ears make up for the difference. At a young age, Levi’s mother discovered that he had an ear for music. Throughout his short life, Mr. Gobin has had his share of struggles; being a blind person in a sighted world brings with it myriad complications. However, his motivation to continue moving forward has not waned. With the aid of music and other techniques, he can keep striving to achieve his goals. SDCB offers assistive technology classes and vision rehabilitation training courses. Please contact us to learn more. Jasmine Jarrett is in middle school. She plays the trumpet in the school band and is on the honor roll. Moreover, Jasmine is a flyer for her school’s cheerleading team; a position which involves doing, exactly, what the name suggests. 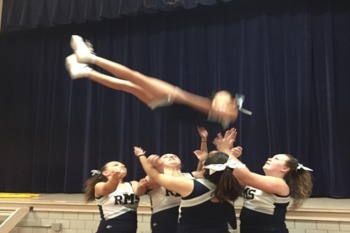 Her cheer squad hoists her into the air and then catches the young lady on the way down. “I like to flip around,” Jasmine said. Many cheerleaders can probably boast about a similar list of accomplishments. However, few can say that they achieve so many feats while legally blind. Ms. Jarrett can only see a couple of feet in front of her; she must hold her homework or exams two inches from her eyes to read it. 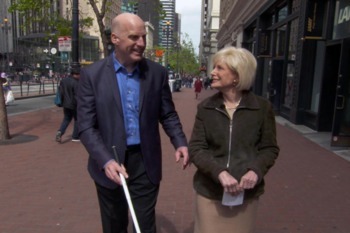 SDCB helps people living with vision loss learn how to build independence. We offer counseling, classes, support groups, and vision rehabilitation services. Please contact us to learn more about our programs. "Rootstown Middle Schooler doesn’t let blindness slow her down"
Cigarettes are bad for humans in myriad ways; most people are aware of the dangers that can accompany smoking. Each year, researchers uncover new links between tobacco use and health conditions. While the majority of adults understand that smoking can result in cancer, new research suggests that those who smoke more than a pack of cigarettes a day could be playing with their vision. A Rutgers University study found that heavy tobacco smoking can have harmful effects on "spatial and color vision" and may result in color blindness. The findings appear in the journal Psychiatry Research. 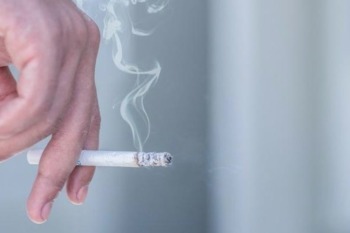 "Our results indicate excessive use of cigarettes, or chronic exposure to their compounds, affects visual discrimination, supporting the existence of overall deficits in visual processing with tobacco addiction," said Steven Silverstein from the Rutgers's Behavioral Health Care. "Cigarette smoke consists of numerous compounds that are harmful, and it has been linked to a reduction in the thickness of layers in the brain, and to brain lesions, involving areas such as the frontal lobe, which plays a role in voluntary movement and control of thinking, and a decrease in activity in the area of the brain that processes vision." If you are struggling with vision loss, please know, you are not alone. The San Diego Center for the Blind can assist you in many ways; please click here to learn more. The University of Western Australia conducted a study that led to some interesting findings which must be explored in more detail. Researchers combed through data from nearly 500,000 people in WA health registers between 1980 and 2001. They were unable to find even one person with congenital or early cortical blindness who also developed schizophrenia—or any other psychotic illness. 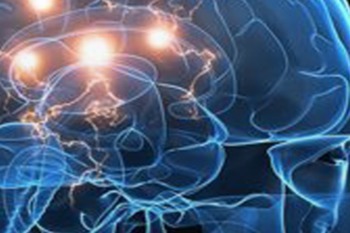 "It's very difficult to say what the exact mechanism is but we think that the protective effect for schizophrenia is related to some kind of compensatory cortical reorganisation in the brain that’s happening in response to having congenital or early cortical blindness," said lead author, Professor Vera Morgan. “As a result, some functions that are impaired in schizophrenia may actually be enhanced in people with congenital or early cortical blindness." SDCBs vision rehabilitation program is recognized worldwide for helping individuals living with vision loss return to an independent lifestyle. Please contact us to learn more. While male squirrel monkeys are not the best at seeing color, they could help scientists find a cure for human color blindness or color deficiency. The little monkeys are protanopes; they only see medium and short wavelengths of light, blues and greens and yellow; they have no receptor for reddish hues. 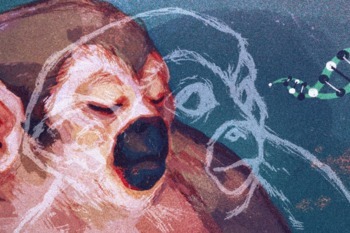 Jay Neitz, a color vision researcher at the University of Washington and his wife Maureen, a geneticist, created a serum to help spider monkeys see colors they have never seen before. But, a lot has to go right. “We’ve been working on ways to improve the efficiency,” Neitz says. SDCB’s services help the visually impaired live – daily – doing many of the things they did while sighted. Please contact us to learn more. “Books and Coffee” is an annual event that invites speakers to discuss books with students. 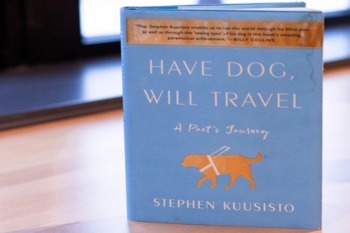 This year, English professor Maren Linett – director of the critical disability studies program at Purdue – talked about, “Have Dog, Will Travel,” by Stephen Kuusisto. The memoir is about Kuusisto’s life and him coming to terms to terms with living with blindness—in a less than accommodating society. Please contact SDCB if you or someone you know is experiencing blindness. Since 1976, Deidre Hall has played the character of Dr. Marlene Evans on the beloved “soap opera” Days of our Lives. While she isn’t a physician off-camera, Hall does concern herself with medical problems affecting real people. 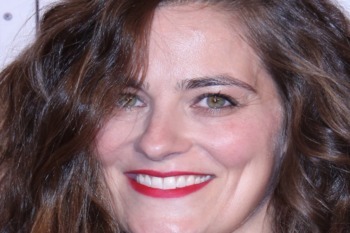 In observance of Low Vision Awareness Month (February), the daytime television star is taking the opportunity to discuss her mother’s experience with blindness resulting from Wet age-related macular degeneration (AMD). SDCB offers counseling, training, community outreach programs, and more. Please contact us for more information. 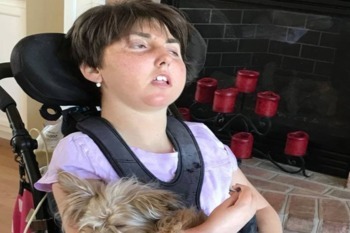 Mikayla Resh experienced severe brain damage at birth; her trauma resulted in multiple disabilities including blindness, hearing loss, and spastic quadriplegic cerebral palsy. Sadly, Resh passed away on January 30th at the age of 24. In life, she served as an inspiration to others who are impacted by disability; she and her mother would visit schools and discuss the importance of inclusion for people with disabilities. 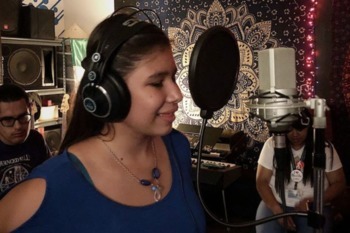 Mikayla’s mother founded Mikayla’s Voice, a nonprofit organization with the aim of empowering children with disabilities and educating others about diversity and inclusion. "I promised her before she died that I would make sure that her voice was louder than ever," Kimberly Resh said. SDCB’s Assistive Technology Center and Store have the tools to help you become independent. Please contact us to learn more. Most people living with vision loss eventually have children; the rates are only slightly lower than sighted individuals. However, many blind people contemplate if child rearing makes sense. Such a person’s concerns often stem from discouragement from other sighted people. While the opinions of the misinformed should never stand in someone’s way, several things are beneficial to consider before starting down the path to mother or fatherhood. Such as your mobility, home management, problem-solving, and advocacy skills. Please contact SDCB to find out more about all the ways we can help you reach your own highest level of independence. 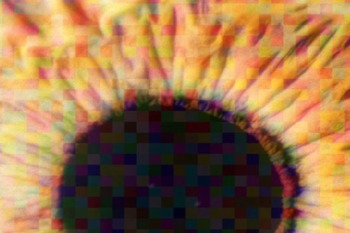 Color vision deficiency or color blindness affects millions of people. Most people living with the condition have trouble differentiating between specific shades of reds and greens, or blues and yellows, according to the American Optometric Association. While some people are born with the condition, the condition can arise from disorders like glaucoma or injuries. Do you want to live as independently as possible? Please contact SDCB to learn more about our services. It is safe to say that participating in any sport, blind, is not without added difficulty. A 16-year-old sophomore in high school acutely understands that reality but does not eschew a challenge. Agie Mai Sowe is ever-ready to try new things, in spite of being considered legally blind. The young athlete is a member of her school’s wrestling team. Sowe is almost entirely blind in her left eye, and her vision is failing in her right eye. Please contact SDCB if you or someone you know is struggling with vision loss. We offer many services that can help you find your way. Diseases of the eye are not reserved for the elderly, children also struggle with blindness and visual impairment. 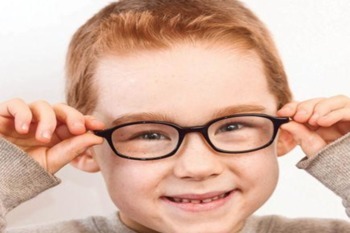 Amblyopia, astigmatism, color blindness, Strabismus, and Pediatric glaucoma are just some of the eye conditions that can impact children’s eyes. 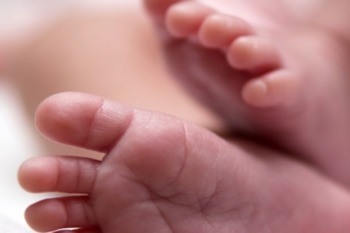 While such disorders can affect life quality, early intervention can help. The American Academy of Ophthalmology points out that early diagnosis and treatment are critical to improving eye health and assisting children to see better. In some cases, treatment can even restore sight. At SDCB, we help adults, with blindness or vision impairment, to be independent. Please reach out to us to learn more about our services. Some of the more common eye conditions that can result in vision loss affecting older people include cataracts, age-related macular degeneration or AMD, and glaucoma. 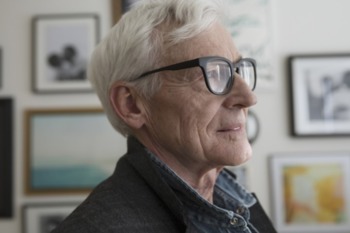 It is common for aging people to require glasses to see objects up close, it is a fact that most of us are aware of as being a part of getting old. Our services help people living with vision loss to be independent. Please reach out to us for more information. Disney movies have long been a significant part of children’s lives. However, many young people have never had the joy of watching famous Disney characters dancing across the screen, particularly kids living with visual impairment. But, that is about change! Tactile Vision Graphics has a contract with the Disney Corporation to create an activity book for children featuring our most cherished Disney animated friends. The interactive materials feature pictures with raised outlines so children with visual impairments can experience the magic of Disney. 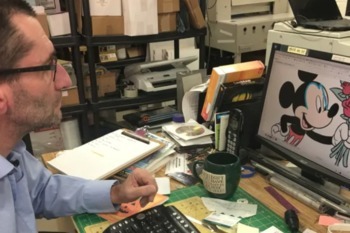 "The blind user will actually be able to see, for want of a better word, what Mickey Mouse looks like," said Emmanuel Blaevoet of Tactile Vision Graphics. SDCB’s programs give the visually impaired the ability to travel, go to school, prepare meals and manage finances — on their own! Please contact us to learn more. Blinding eye diseases can affect just about anyone; people living with blindness come from all walks of life. One photographer went on a journey to find out what we can learn from people living with vision loss. 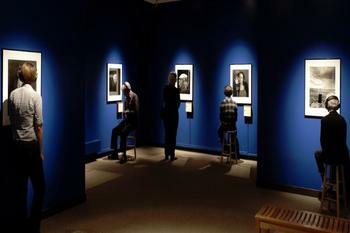 Michael Nye's book, "My Heart Is Not Blind: On Blindness and Perception" focuses viewer's’ attention on a diverse group of people living with blindness. “My Heart Is Not Blind offers compelling accounts of survival, adaptation, and heightened understanding, inviting us to reconsider what we think we know about blindness in order to gain a deeper understanding of perception,” writes Trinity University Press. SDCB’s vision rehabilitation program is recognized worldwide for its effectiveness in helping individuals return to an independent lifestyle. Please contact us to learn more. Jeffrey Crouch and his twin brother were born with blindness. It meant he could not have the luxury of a traditional education setting due to accessibility issues. 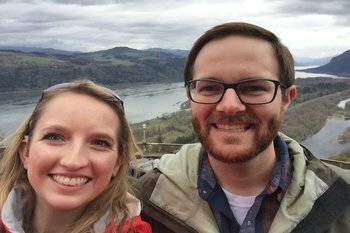 Mr. Crouch attended the Great Lakes Cyber Academy, an online program; and, after graduation, he had hoped to earn a bachelor's degree in psychology. Unfortunately, a medical emergency would stand in his way, ultimately prompting Jeffrey to choose a new career path. 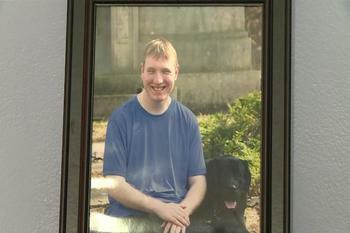 He now plans to begin a 9-month program to learn how to help other blind people regain their freedom. If vision loss is making your ability remain independent more difficult, please contact SDCB for help. We invite you to find out more about all the ways we can assist you in reaching your own highest level of independence. Anyone who can overcome adversity can be a source of great inspiration to younger generations and old. Individuals leading productive lives in spite of disabilities are no exception. Meet Millad Bokhouri, a 31-year-old who just graduated with a Master of Public Health Degree and Certificate in Healthcare Management. He accomplished such a feat even though he has been blind for the past six years. 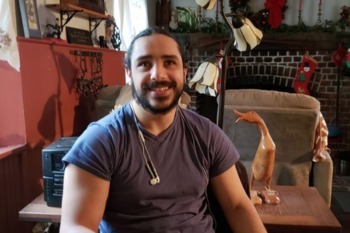 Bokhouri sat down for an interview recently and discussed how he manages, and some of the more common questions sighted people ask him about living with blindness. At the San Diego Center for the Blind, we offer counseling, classes & support groups, and vision rehabilitation services. Please contact us to learn more. The “white cane” may one day have an upgrade. 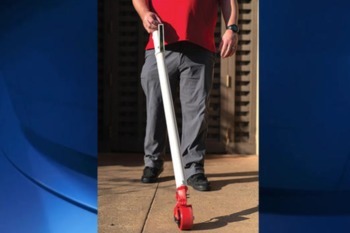 As scientists continue to trudge down the path toward autonomous cars, one man is fulfilling his dream of a “self-driving” cane. Kelvin Crosby is an entrepreneur who created the start-up "Smart Guider." The product: a “self-driving” cane for the blind and visually impaired. It has a motorized wheel that can guide users around obstacles. At SDCB, we offer vision rehabilitation services that rebuild independence. Please contact us to learn more. Mirabile dictu, a team of researchers discovered 261 new genes tied to blindness and other eye diseases. 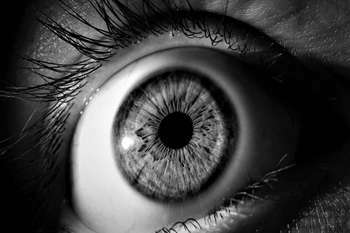 The findings could help in identifying new causes of hereditary blindness. The research is part of the International Mouse Phenotyping Consortium, the goal of which is to single out a function for every gene in the mouse genome. The findings appear in Nature Communications Biology. If you are need of assistance for blindness or visual impairment, please contact The San Diego Center for The Blind at your earliest convenience. Our comprehensive vision rehabilitation program is the next step to rebuilding your independence. Fran Underhill is a volunteer carer for Guide Dogs Queensland; along with her husband, she tends to service dogs when their person is away. But, Fran is also an author who recently penned a series of children's books about a blind teddy bear named Edward and his guide dog Tuesday. Sally Balwin, is the general manager of Braille House, a 121-year-old organization providing reading material to people who are blind. She says that there are not enough authors writing from the perspective of persons living with a disability. 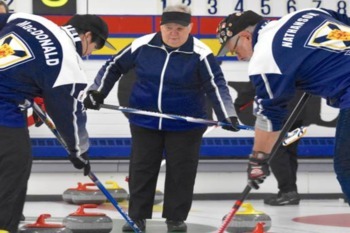 "The blind community, or anybody with a disability, their story is important," says Balwin. Please contact SDCB if you live in Southern California and are struggling with sight loss. We offer vision rehabilitation services that rebuild independence. It is a big year for the Braille Institute of America, a Los Angeles-based nonprofit founded in 1919. As the organization celebrates its 100th anniversary, it will also open the new Braille Institute facility, a high-tech 14,735-square-foot building that will continue to serve Orange County residents as it has done so since 1934. Moreover, three institute students were given the honor of riding atop the Lions Club International float at this year’s Rose Parade on January 1st. Men and women living with blinding eye conditions can benefit from the many programs offered at the San Diego Center for The Blind. Georgia’s Business Enterprise Program harnesses the entrepreneurial skills of people living with blindness. Edward “Eddie” Mial, Jr. is one of 75 visually impaired small-business operators who are part of the program. Most of the businesses operate in government facilities. Studies indicate that people with disabilities have a higher level of employer loyalty and rate of retention, says Robin Folsom, a spokeswoman for the Georgia Vocational Rehabilitation Agency, which runs the program. People living with blindness are invited to learn more about the programs offered at SDCB. Please contact us to learn how we can help improve your life quality. Eye care is of the utmost importance. People who wear contact lenses, please be advised, sleeping while wearing the lenses carries significant risks including blindness. 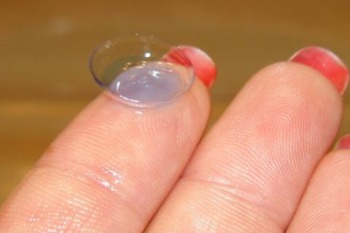 Those who wear their contacts around the clock face dangerous infections and blinding ulcers in the eyes. A new report in the Annals of Emergency Medicine presents six patients who developed corneal infections after wearing their contact lenses to bed on a regular basis. "The excess risks of developing corneal infection with overnight wear of contact lenses has been recognized for many years," explained Dr. Oliver Schein, a professor of ophthalmology, and vice-chair for quality and safety with the Wilmer Eye Institute at Johns Hopkins University. San Diego Center for the Blind can assist people living with blindness. Please contact us to learn more. After more than 100 years, The Lighthouse Guild asks the Filomen M. D’Agostino Greenberg Music School, to find a new home. 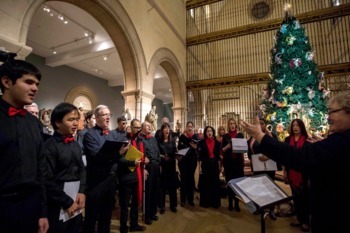 The music school has served blind and visually impaired musicians in Manhattan since 1913. The school works with 120 children and adult students. Moreover, the institution is an archive of some 25,000 Braille and large-print musical scores, second only to the Library of Congress. “This decision was difficult because the school has been a part of the fabric of Lighthouse Guild for over 100 years,” wrote Dr. Alan Morse, president of the Lighthouse Guild, an organization with a mission to assist the blind. If you are blind or live with visual impairment, please reach out to SDCB for assistance. Researchers at Ruhr-Universität Bochum found that genetic vision loss impacts the organization of the cerebral cortex and memory ability. The research, published in the journal Cerebral Cortex, shows that in the months after blindness emerged in mice with a genetic defect, the density of neurotransmitter receptors required for memory encoding was altered in all areas of the cortex that process sensory information. What’s more, the hippocampus was profoundly affected; it is an area of the brain that plays a significant role in memory processes. "After blindness occurs, the brain tries to compensate for the loss by ramping up its sensitivity to the missing visual signals," explains Denise Manahan-Vaughan, who led the study. 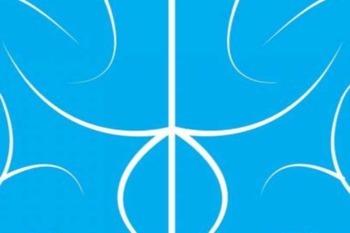 “Our study shows that this process of reorganization is supported by extensive changes in the expression and function of key neurotransmitter receptors in the brain. This is a major undertaking, during which time the hippocampus' ability to store spatial experiences is hampered." SDCB offer many programs designed to assist people living with vision loss. Please contact us to learn more.